What it is: The Apple Watch can track your daily activities to help you lose weight. Leif Johnson simply wants to lose weight. Like most people, losing weight can be easier if you have someone with you at all times to constantly remind you of your goals. However, unlike most people, Leif relies on the Apple Watch to help him lose weight. The Apple Watch works for helping people lose weight for several reasons. First, as long as you attach it to your arm everyday, it can provide constant reminders of your daily activities such as calories burned, exercise, and whether you’re standing up at least once an hour. By tracking all this data passively while you go about your day, you can see periods of time when you might be inactive and when you have a chance to be more active. The basic saying is that if you measure something, it’s more likely to get done. That’s why dieters count calories and weigh themselves because only by knowing where they’re at in relation to their goal can they make sure they continue working towards that goal. It’s not always fun or exciting to see days when you’re slacking off, but it is educational because it shows that you can’t do nothing and simply wish your excess weight away. You have to work at any goal, such as weight loss, everyday. Besides providing constant reminders, the Apple Watch also can help you lose weight by providing regular notifications. Just displaying information passively may not be enough. Having the Apple Watch display your exercise or calories consumed goal at the end of the day can be a powerful motivator to get you to take consistent and regular action towards your goal. The Apple Watch passively records your data and then actively reminds you when you’re falling short and when your’e reaching your goals. Through this combination, the Apple Watch can help you lose weight. Naturally, the Apple Watch can do more but for many people, this aid to losing weight can be worth the price alone. Then anything else the Apple Watch does is simply a bonus. 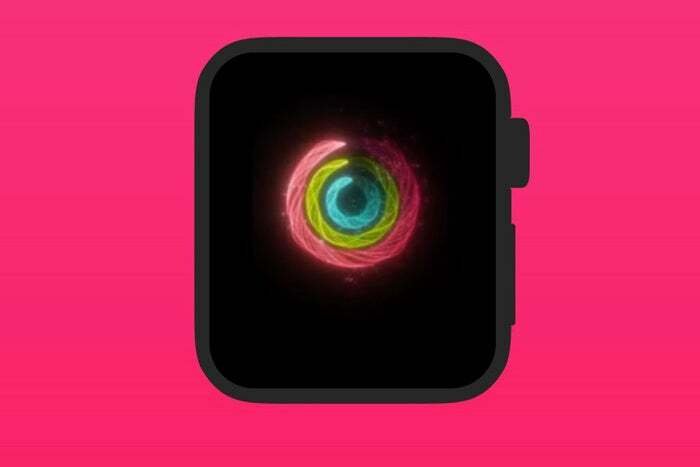 To read more about one man’s use of the Apple Watch to lose weight, click here. What it is: Deloitte predicts digitally connected health treatment will be a normal part of healthcare within a decade. Anyone remember the old days before the Internet when online services were the only reliable way to connect with other people? The trouble was that there were so many online services that they couldn’t connect with each other. That’s essentially the problem today with health records with everyone following different standards and no standards making it easy to share data with other standards. The lack of standards means that data gets lost or ignored. Missing data means less than optimal knowledge about a patient, which could prove fatal. That’s why the medical world wants to move to a digital standard but with so many standards to choose from, there’s no compelling reason for any single standard to stand out. Until, of course, Apple appeared. Given the popularity of the iPhone, Apple can help define a health record standard that makes it easy for people to securely store and share their medical data with medical personnel. with Apple’s focus on privacy and security, Apple’s health care standard offers compelling advantages that other standards lack. That means in the future, health records may get digitized and securely stored and shared with health care professionals. The immediate problem with digital health records is security and privacy. Without proper security, hackers could invade people’s privacy. The punishment for stealing and revealing health records might not seem that important, but it’s essentially violating a personal part of a person. Although no security can be 100% effective, Apple’s iPhone is at least far more secure than Android. Yet to succeed, standard digital health records will need to be shared among all types of devices, which means less security and greater threats of privacy loss. Today’s lack of health care data standards dramatically increases privacy and security at the cost of updated information. Ultimately the question is whether shared health records will be worth the risk of privacy loss. For some people, the answer will be yes but to others, the answer will be no. Although Deloitte predicts health care data will be digitized within a decade, don’t expect this process to arrive without lots of lost, stolen, and misinterpreted data. Digital health records aren’t perfect but they’re far more useful than today’s hodge-lodge system of storing and sharing medical information. The only question is whether the advantage of sharing data will be worth the price of privacy loss. To read more about digital health records, click here. What it is: Apple recently patented a blood pressure measurement device. Real-time health monitoring is the killer app for wearable computers like the Apple Watch. In their latest push towards monitoring health, apple recently patented a blood pressure measurement device that looks suspiciously like an accessory for the Apple Watch. Right now the Apple Watch comes with a limited number of built-in sensors, but Apple can’t add too many more sensors for two reasons. First, there’s not enough physical space on an Apple Watch. Second, the government needs to regulate medical devices, which risks slowing down innovation so they can test each product and approve it. The end result is that Apple can only put general purpose health sensors on the Apple Watch, which means any additional sensors, such as a blood pressure measurement device, will likely come from smart bands. Right now, the Apple Watch can wrap around your wrist using a variety of bands, but all of them serve no other purpose than to keep the Apple Watch on your arm. Make that band smart by adding sensors and suddenly you’ve expanded the capability of the Apple Watch and customized it for specific types of uses. One person might be interested in monitoring their blood pressure while another might be interested in measuring their glucose levels. That would mean offering different types of smart bands for different users. The Apple Watch won’t just be a toy but a real-time health monitoring tool designed to track your health symptoms every second. This can provide you with health data or other people such as doctors or researchers. Researchers might be interested in tracking your data to study while doctors may be interested in tracking your data to help keep you in optimum health. Ultimately, the Apple Watch will be a real-time health monitor. As its value becomes clear to everyone, there won’t be a reason not to own an Apple Watch, unless, of course, you don’t care about your health any more. 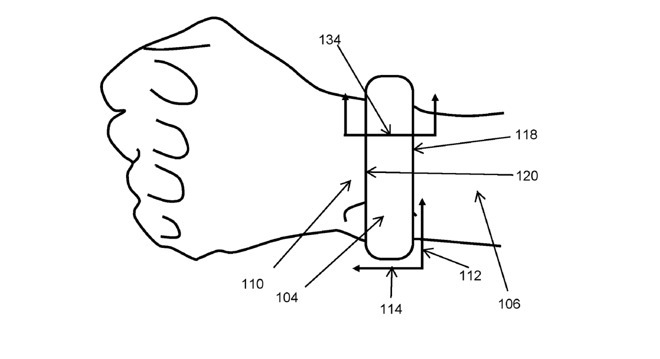 To read more about Apple’s latest patent for measuring blood pressure, click here. What it is: Apple’s ResearchKit will allow researchers to monitor Parkinson’s Disease. Every computer has its killer app. With the PC, it was the spreadsheet along with word processors and databases. With the smartphone, it was real-time driving directions and location tracking that allowed apps like Uber to thrive. With wearable computers like the Apple Watch, it’s real-time health monitoring. The Apple Watch can monitor a person’s health and alert them to changing symptoms. This feature alone has saved the lives of many people when their Apple Watch alerted them to heart condition changes that directed them to get medical attention. Another way the Apple Watch can help monitor health in real-time is through Apple’s ResearchKit, which lets researchers enlist the help of volunteers who use the Apple Watch to test for various conditions. In the past, researchers could only work with a limited number of people, typically within the geographical area of the researchers. This obviously limited the amount of data the researchers can collect. With ResearchKit and the Apple Watch, researchers can enlist volunteers from all over the world and collect their data, which not only provides a larger data sample, but also collects data from volunteers living under different parts of the world. Apple’s latest version of ResearchKit will now detect tremors and hadn’t movements that can aid in the study of Parkinson’s Disease. The key to ResearchKit and the Apple Watch is that volunteers can collect data and send it to researchers without requiring much action on their part beyond volunteering and setting up their Apple Watch to collect their real-time health data. Such passive data collection allows the Apple Watch and ResearchKit to accurately monitor and collect health data. For anyone who still doesn’t know what good a wearable computer might be, it’s time to get your head out of the ground. Wearable computers like the Apple Watch excel at real-time health monitoring for both users and researchers. If you don’t value your health, feel free to ignore the Apple Watch. If you do value your health, it’s time to learn how an Apple Watch could possibly save your life in the future. To learn more about ResearchKit, click here. What it is: The Apple Watch saved a man who suffered a ruptured ulcer. When Apple first released the Apple Watch, many people didn’t know why they would need one. Many people still don’t know why they might need one, just as many people still don’t see a need for a computer, a smartphone, a car, or electricity. The main key behind the Apple Watch is its real-time health monitoring abilities, which is something you can never get from a desktop/laptop computer or even a smartphone. Only a wearable computer like the Apple Watch can passively monitor your health at all times. If you don’t value your health, then a wearable computer isn’t for you. For everyone else who does value their health and their lives, a wearable computer is fast becoming a necessity, especially for older people. 32-year old William Monzidelis was at work in April when he started feeling dizzy and headed to the bathroom. Shortly after, he started bleeding and got an alert from his Apple Watch warning him that his heart rate was at an alarming level. The device recommended Monzidelis seek medical attention. His mother, Nancy, rushed him to the hospital and that helped save his life by getting immediately medical attention. Without the Apple Watch, Monzidelis might have just ignored the dizziness and bleeding, assuming it would simply pass, and then he would likely have died. By getting early warnings of potentially fatal health problems, he got to the hospital in time for doctors to save his life. Stories about the Apple Watch saving people’s lives are becoming routine. If you’re interested in living a healthy life, then you have a need for the Apple Watch. The Apple Watch may not be useful for web browsing or taking notes, but for what it can do, it does well that no other type of device can do. Wearable computers are no longer a luxury but a necessity. Provided, of course, that you actually want to live. To read more about how the Apple Watch helped save a man’s life, click here. What it is: An Apple Watch alerted an 18-year old girl to an undiagnosed kidney problem. For anyone who still doesn’t know what good an Apple Watch or similar wearable computer might do for them, ask them if they want to stay alive. If they do, then they’ll find a use for a wearable computer like the Apple Watch. In florida, an 18-year old girl wearing an Apple Watch noticed her heart rate drastically changed, alerting her to seek medical attention. The girl’s mother took her to a clinic and later to an emergency room where doctors discovered the girl had an undiagnosed kidney disease. Without this notification, this kidney disease would not have been detected until much later, if at all. The mother wrote to Apple, thanking them for the Apple Watch that potentially saved the girl’s life. If an Apple Watch can help save lives through real-time health monitoring, why wouldn’t everyone want one to monitor their own health and warn them of possible problems ahead of time? The Apple Watch’s real-time health monitoring is the key feature that makes wearable computers so useful. The ability to make phone calls through an Apple Watch is simply a nice bonus but not necessary. If you value your health, you should get a wearable computer like the Apple Watch. If you don’t care whether you live or die, feel free to ignore technology that could save your life one day. To read more about how the Apple Watch helped save a teenage girl’s life, click here.